THE FIRST WINNER OF THE ST LEGER IN 1776 WAS: ALLABACULIA partner JOHN SINGLETON trainer Christopher Scaife for the Marquess of Rockingham. Owner Charles Watson- Wentworth, 2nd Marquess of Rockingham. (13 May 1730 – 1 July 1782) Served as Prime Minister of Great Britain, in office 27 March 1782 – 1 July 1782. Monarch George 111. Despite the attractions of other Autumn races such as the Prix de l’Arc de Triomphe and Breeders’ Cup, the St. Leger remains a key feature of the British racing calendar. Don’t miss the continuation of St Leger’s history, the 234th running of this race will take place on Saturday afternoon 11th September 2010. THE ST LEGER FAMILY IS AN OLD ANGLO - IRISH FAMILY WITH NORMAN ROOTS GOING BACK OVER A THOUSAND YEARS, AND WHOSE NAME HAS APPEARED MORE THAN A FEW TIMES IN HISTORY. ST LEGER 616? – 678 7th century martyr and bishop of Autun, contributed to the popularity of the name in France. The name was introduced into England by the Normans after 1066, and to Ireland in the 12th century following the Norman invasion of Ireland in 1169, where it achieved considerable status. As part of Leger’s episcopal duties, he not only preached and taught ordinary folks, but he also reformed many of the clergy who had become lax in their responsibilities. He said that if monks were doing what they were supposed to do, their prayers would preserve the world from many disasters. St Leger's words way back then, ring true, and continue to ring true throughout and over all these centuries, to the present day: "If each of us were doing no more and no less than what we were supposed to, the world would be in much better shape. The problem is we sometimes become so overwhelmed we don’t know where to start. "Whether we’re dealing with global issues or sorting out personal ones, the process is exactly the same. We can’t try to solve the whole thing all at once. We’ve got to take it one step at a time. What issue concerns me the most at this moment? What one thing can I do to help? St Leger's words were brought to light in recent years by Mother Teresa “What you are doing, I may not be able to do ... what I am doing you may not be able to do ... But all of us together are doing 'Something Beautiful For God' (www.lionhudson.com) If we each do what we can right now, together we will be able to accomplish all that needs to be done." The author of this book, Malcolm Muggerage, was born in 1903, was educated at Selhurst Grammer School and Selwyn College, Cambridge. He started his career as a university lecturer in Cairo before taking up journalism. As a journalist he worked around the world on the Guardian, Calcutta Statesman, the Evening Standard, and the Daily Telegraph, and then in 1953 became editor of Punch where he remained for four years. In the 1939 - 45 war he served as a Major in the Intelligence Corps, being awarded both the Legion d'Honneur and the Croix de Guerre. In latter years Malcolm Muggerage became best known as a broadcaster both on television and radio for the BBC. He died at the age of 87 in 1990. Mother Teresa is an unsurpassed inspiration of simplicity, faith and compassion. As she daily cared for the poor of Calcutta, she challenged the world to greater acts - to the importance of small things done with great love. First published in 1971 'Something Beautiful For God' is an uplifting chronicle of Malcolm Muggerage's discovery of Mother Teresa and the religious order she instituted. It is not, in the ordinary sense, a biography, but arises out of Muggerage's observations and reflections on being with her in Calcutta. It is the classic work that introduced Mother Teresa to the Western world. Now colour illustrated throughout, the book includes, along with Muggerage's reflections, the transcript of his conversations with Mother Teresa and a selection of her own writings and meditations. Her message is forever relivant. As is St Leger's 616? – 678 from way back in the 7th century. St Leger was raised at the court of King Clotaire II and by his uncle, Bishop Didon of Poitiers. Leger was made archdeacon by Didon, was ordained, and in about 651, became abbot of Maxentius Abbey, where he introduced the Rule of St. Benedict. He served Queen Regent St.Bathildis and helped her govern when Clovis II died in 656, and was named bishop of Autun in 663. He reconciled the differing factions that had torn the See apart, introduced reforms, fortified the town, and was known for his concern for the poor. His feast day is October 2. Doncaster benefited from the lucrative stagecoach trade in the 16th century. This led to horse breeding in the town, and to the popularity of horse racing. The first known horse races were held there as early as the 17th century. The St. Leger Stakes is a Group 1 flat horserace, run in Great Britain, open to three-year-old thoroughbred colts and fillies. 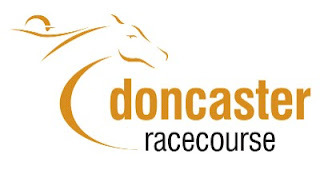 It is run at Doncaster over a distance of 1 mile, 6 furlongs and 132 yards (2,937 metres), and it is scheduled to take place every September. Established in 1776, the St. Leger is the oldest of Britain's five Classics. It is the last of the five to be run each year, and it is raced over a longer distance than any of the previous four. 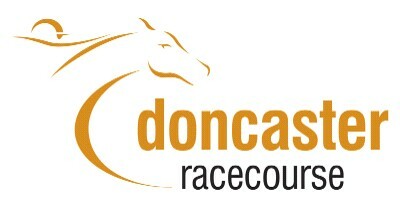 To be run this year on Saturday 11 September 2010 and televised live by the Channel 4 Horseracing Team. A later St. Leger of historical importance was Gen. Anthony St. Leger. He was born in 1731 probably in Kildare, Ireland. He was one of a group of noblemen and gentlemen who in 1778gathered for a private dinner party in an upper room of the Red Lion Inn which standsin the market square in Doncaster. When they departed, history had been made. A horse race which was to set the pattern for classic racing throughout the world had been christened the St. Leger. The race, a sweepstake for three-year-olds, had been born two years earlier in 1776, at the suggestion of Lt. Col. (later Major-General) Anthony St. Leger and ran for the first time over a two-mile course on Cantley Common in Doncaster. The classic race, The St. Leger has been run at Doncaster ever since. St Leger died on 19 April 1786. He was buried in Saint Anne’s Church Dublin.